The age-old question – is there ever a right time to have a baby? I don’t know that there’s ever a right time per se, but there are definitely some times that are better than others. And there are many preparations that need to be made in preparing for a new baby. Financial preparations are an important part of them. 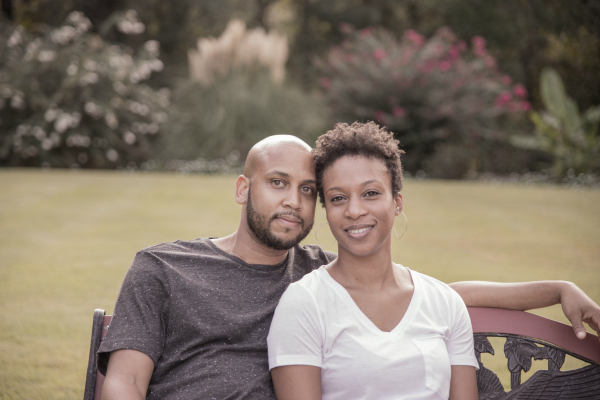 For us, we tried to make sure that we were in the best financial situation that we could be in without sacrificing having to wait so long to grow our family of two. In this post, I will discuss some of the things we did in regards to financial preparations to make for a new baby. I can’t stress this single topic enough – Budget. Budget. BUDGET! We discuss personal finance a lot here on Thinking of Someday. Why? Because it affects all facets of your life, including family and having a baby. When people have a baby they want to give them the best of the best, even better than what they had coming up. So why not start your child’s life off on the right foot by being an example that they can follow on what to do financially? That aside, since I am supposed to be talking about how budgeting helps to prepare financially for a new baby – Simply put, budgeting does help. It helped us because we were able to plan for and save for the items that we knew we were going to need. The same goes for some of the small items that people don’t typically buy as baby shower gifts. Budgeting also helped because it caused us to look at our overall financial picture at the time and start the discussion about how we were going to afford daycare or ways to avoid daycare. If we had not been budgeting at the time it probably would’ve been harder to see if we could or couldn’t truly afford daycare. ** side note: If you don’t have a budget template to use, you can get a free one by subscribing to our blog and you can check out How To Get Started With Doing A Zero-Based Budget to help you get started! Budgeting does what budgeting always does – it allows you to be more efficient at pointing your money towards a certain goal. In this case, the goal is to save as much money as you can. Which leads us to the next financial preparation – stop paying off debt while pregnant. When we found out I was pregnant we stopped paying extra towards my student loans (the only debt we had other than our house). Instead, we saved the money until after I had our child and everything was A-OK with baby and I. It was definitely tempting to pay extra on the student loans instead of slowing down on paying them off. However, we found it wise to save the money “just in case” and then after all was well we resumed paying off the debt. If you aren’t already paying off debt, now isn’t the time to start. Instead of spending money on whatever you’re spending it on, focus on saving your money instead. Why? For the same reasons I give for not continuing to pay off debt if you are. Once your baby is born and both you and baby are A-OK… You might want to highly consider getting out of debt. And also put you some money aside for emergencies. When we were getting out of debt we had $2000 in our savings account in case of an emergency. Emergencies can happen at any time, especially if you have kids. If you cut back on unnecessary spending while you’re pregnant and save the money instead, then you should have a nice lump sum of money to help you get started with a mini emergency fund and your debt free journey. Understanding your insurance is an important part of preparing for a new baby. To start with, you want to make sure you choose a provider who is considered in-network as this will help with your costs. Find out what’s expected from you in regards to your co-pays and deductible. This will also give you an idea of what your insurance provider contribution will be. Once you’re at the hospital for delivery, unless it’s required beforehand, be prepared to also pay your hospital co-pay as well. This is what happened to us. Since I work at a hospital and Omar and I had already done our research about my insurance, I wasn’t surprised when someone came to my room to talk about my payment… And it wasn’t cheap! However, we were prepared. You’ll also need to decide if you’ll be adding your new bundle of joy to your insurance or your spouse’s insurance. Our son was under my insurance for delivery, but we added him to Omar’s for everything afterward. Once that’s decided, you’ll need to find out when exactly you should add your newborn to your or your spouse’s insurance because you don’t want any issues with delays (or insurance paying their part). And not to state the obvious, but find out how much it’ll cost. This might be the determining factor of who’s insurance the baby will be added to. And yet again you might have to take a look at your budget to see if you need to make any adjustments. ** side note: Don’t forget to research pediatricians before your baby is born. And of course be sure to choose someone who is in network. If you and/or your spouse don’t have insurance, then definitely start looking into what options are available to you. Don’t wait until your baby is born as this can just cause added, unnecessary stress. If you’re welcoming a new baby into your life, surely you’re going to want some time off from work to enjoy your baby. And if you’re mom, you will also need this time off from work so that you can recover. If you’re dad, you’ll probably want some amount of time off from work, if possible, so that you can bond with your new baby. This will also be beneficial for being able to help mom with things she might need help with as well. Regardless, maternity and/or paternity leave are something that has to be planned for. For starters, do you have short term disability? How much will it cover and when does it kick in? If you don’t have it, is it possible to sign up for it prior to the baby being born? In our case, since we knew when we wanted to start trying to have a baby, I signed up for short term disability during open enrollment since that was in November for me and we were going to start trying the following January. Now is also a good time to see if your job offers FMLA – you might be able to be off for up to 12 weeks, but you’ll have to use your vacation time / PTO to do so. So start saving up your PTO if possible because this can help to cover your bills while you stay home enjoying your new baby. If dad wants to take some time off, find out if dad’s job offers any type of paternity leave or if he’ll have to use some vacation time or FMLA if that’s an option. Planning for maternity/paternity leave by way of budgeting is a must. Even if you have short term disability it might not provide you with enough money to cover your regular bills and expenses, especially if you want to be off from work more than the typical 6 – 8 weeks that’s provided for having a newborn. Budgeting can help you figure out how much you need to be saving to cover your bills and expenses while you and/or your spouse are out of work. Throughout this post, I’ve mentioned several instances of what we did and why we did it. What I didn’t do was go into detail about just how important it ended up being for us personally. There I was sitting in the car crying as hard as I had cried in years. I had turned 30 earlier that year, Kim and I celebrated our first full year in the home we owned, and we had just brought our first child home a few weeks ago. Life was supposed to be good. Instead, I was driving to the hospital to schedule a biopsy. During Kim’s last month of pregnancy, my temperature started shooting up to 102+ throughout the day. I was taking the max dosage of Tylenol and Motrin per day just to keep my temperature in check. I had been to my primary care doctor several times, specialists, the emergency room when my temperature went over 104F and taken several tests. No one could tell me what was wrong with me. And of course, with the help of Dr. Google, we were already fearing the worse. That’s when one of my doctors decided to schedule me for a biopsy because one of the lymph nodes under my neck was about the size of a large strawberry. And another specialist had already told me that it wasn’t mono (the kissing disease). So they prepared me for the possibility that it could be lymphoma (cancer). So there I was in my car going to get pre-registered for my biopsy and wondering if I would get to see my son grow up and how Kim would handle my passing. Especially since she was already dealing with her dad being in hospice care. I was terrified of the results of the biopsy but part of me was okay with whatever happened. If I died my life insurance would be enough to pay the house off and leave Kim with enough to live off the interest of what she invested it in. Also, because we stopped paying off debt and saved as much as we could we had 22K in our emergency fund. We could fight through this with that much cash and health insurance. As if things couldn’t get any worse, once I had my biopsy, my doctor talked to Kim afterward. Kim cut straight to the chase and asked, “Off the record, do you think it’s lymphoma?” With a deep sigh, he said, “Yes.” And then he went on to talk about how the success rate of the treatment was very good and he would do everything he could to help me feel well. He had such empathy for me as well because he and his wife had just had their first son too. After waiting for what seemed like an eternity although it was only 2 days because my doctor had the results rushed… it turned out I didn’t have cancer (whew! ), but instead some rare disease that had to run it’s course. However, I had a hefty sum of medical bills but an emergency fund large enough to cover it thankfully. I’m so glad we had that money there. It would have made a difficult situation even harder. Although there are many preparations that need to be made in preparing for a newborn don’t forget about the financial aspect. Planning for the financial part of a new baby will help make the experience less stressful and more enjoyable. 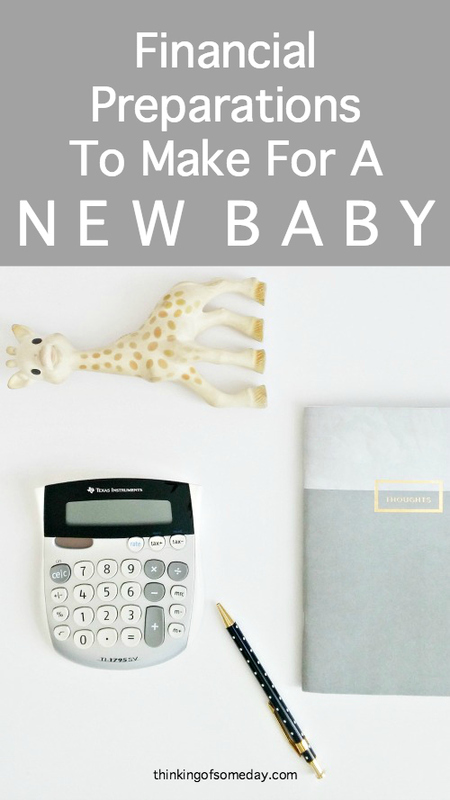 What financial preparations are you making (or did you make) for your new baby?